You may think you have to miss out on all the yummy Thanksgiving goodness just because you’re on keto. 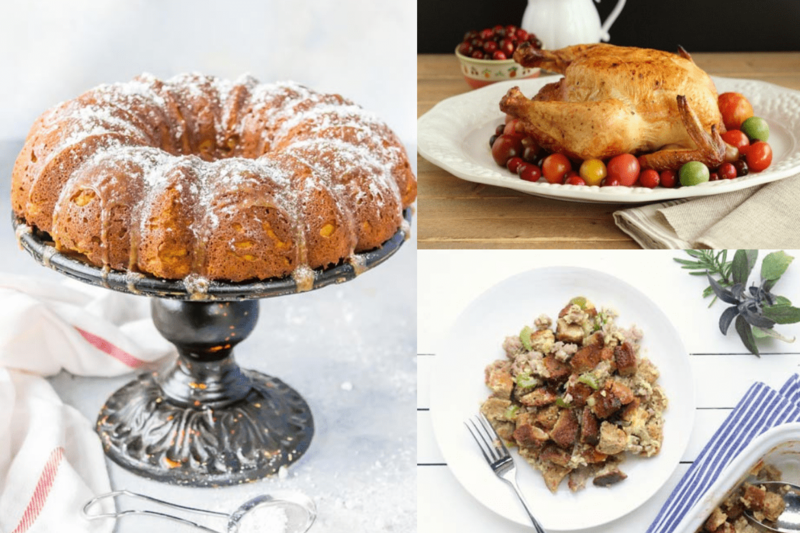 Luckily, I gathered fifty of the most amazing Thanksgiving recipes from some of my favorite keto bloggers so you will be able to stuff your belly and go to bed happy! Now I know we are past Thanksgiving, but I wanted you to know many of these recipes would be amazing for Christmas as well! You don’t have to miss out on anything, you’ll find delicious mains, sides, appetizers, and desserts. And I may have gone overboard with the pumpkin desserts, although is that even possible? Now these Thanksgiving dishes are so tasty that they will even please people not on a keto diet. 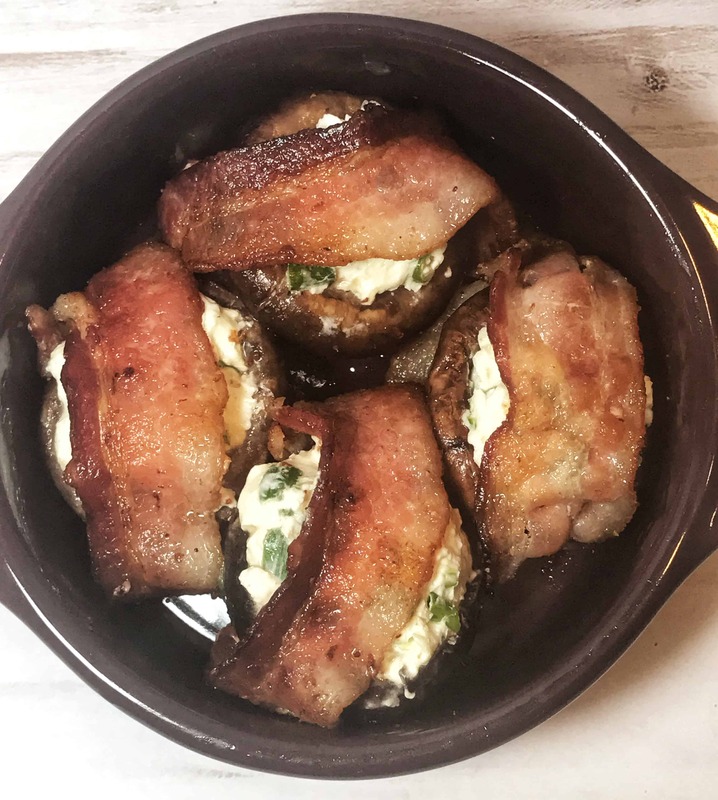 You don’t even have to tell them these dishes are keto friendly…they are that good! 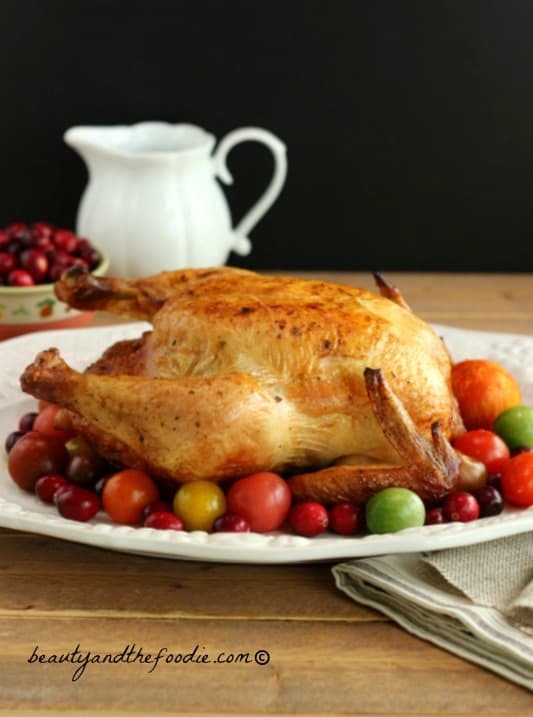 Enjoy these ketogenic Thanksgiving recipes and have a beautiful day with friends and family! Happy Thanksgiving to you all! For even more keto holiday recipes for Thanksgiving & Christmas, I love this downloadable cookbook here! Oh and I almost forgot, after you look around at all these delish keto recipes, be sure to check out my post: How To Stay Keto On Thanksgiving! These easy tips will set you up for some keto Thanksgiving success! Did you know you can cook your turkey on the barbecue? If you haven’t tried this, you’re really missing out! The smoky flavor is amazing and best of all it is very easy to make, no basting necessary. Stacey makes it even easier for you by giving you clear and simple directions to achieve the perfect turkey! If turkey on the barbecue isn’t your thing, or maybe it’s really cold where you are and being outside just isn’t an option, this is the best recipe for oven baked turkey! Your turkey will come out moist and juicy, not dry at all! 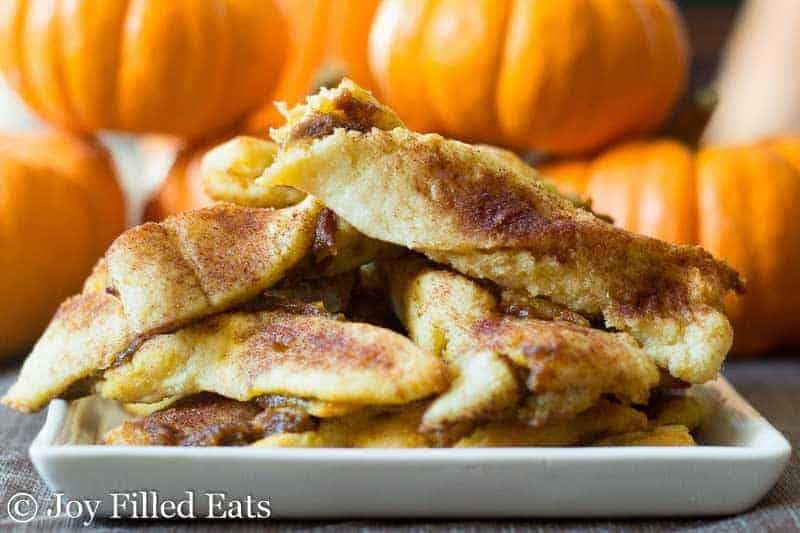 Be sure to check out Mira’s other amazing Thanksgiving recipes in her post! Some of you may be staying in for Thanksgiving or cooking for only a few people, that’s why I wanted to include a couple Thanksgiving mains that aren’t meant for a big crowd. 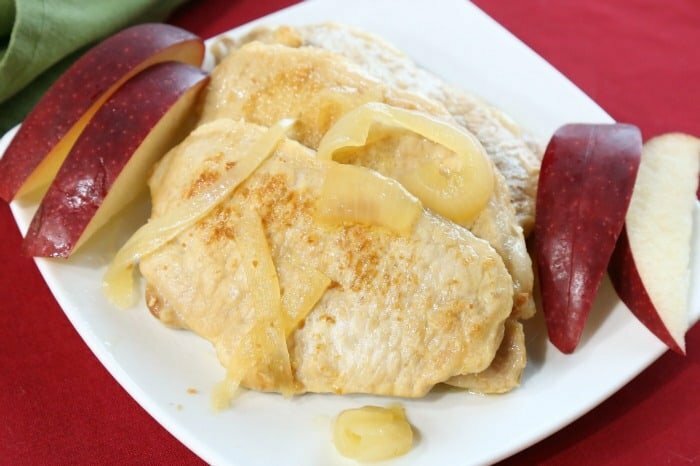 You can make these on the stove top and if you do pair them with a couple apple slices, just be sure to be conscious of the carb count. So I couldn’t have a keto Thanksgiving post without including a bacon wrapped turkey! Kitchn has a foolproof bacon weaving technique (who knew that was a thing lol) that’ll blanket your turkey in strips of bacon. No need to brine, salt, and baste your turkey…bring on the bacon!! Now here’s another dish you can make for a smaller party or it makes for a nice secondary option for your guests. The “stuffing” in the center is packed full of fall flavor. The recipe for roasted radishes is a nice addition as well! Ham can sometimes be tricky on keto because sometimes it is swimming in a sugary glaze. Not so with this ham recipe! Rosemary and mustard is a tasty combination and will have your guests wanting seconds! 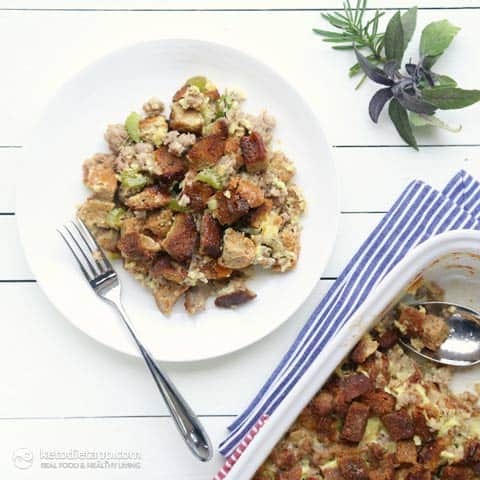 This stuffing recipe tastes like the real deal! The secret is that she doesn’t use meat or vegetables as the base of her stuffing. She gives you a recipe for sourdough bread (keto of course) that is the star of this dish. You get that “carby” stuffing satisfaction without the carbs! If your cauliflower potatoes always turn out too lumpy, this is the recipe for you my friend. These are the creamiest “potatoes” you will ever have on keto and the only thing that would make them even better is some gravy. 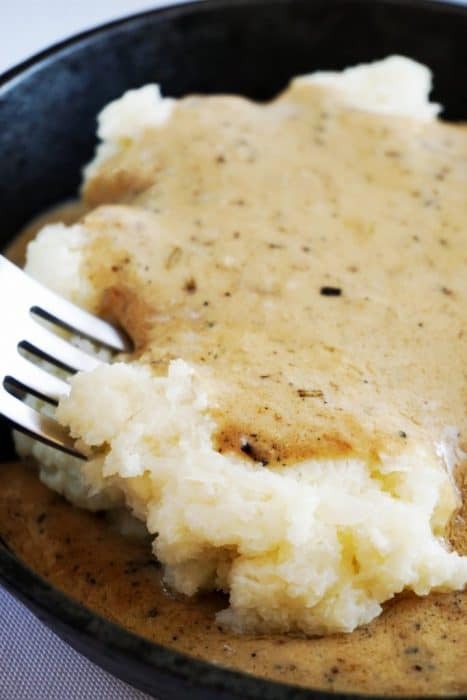 Luckily for you Matt & Megha from Keto Connect have a killer gravy recipe for you as well! You all probably have a family member who always brings this yummy side to Thanksgiving. My aunt makes this every year and that’s why I had to find a keto version. 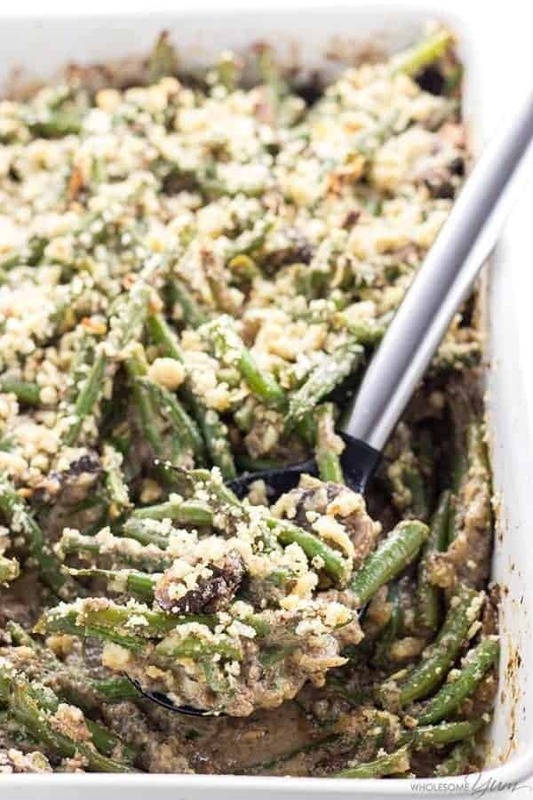 This green bean casserole still has those crunchy little onions we all love, but breaded with keto friendly ingredients. 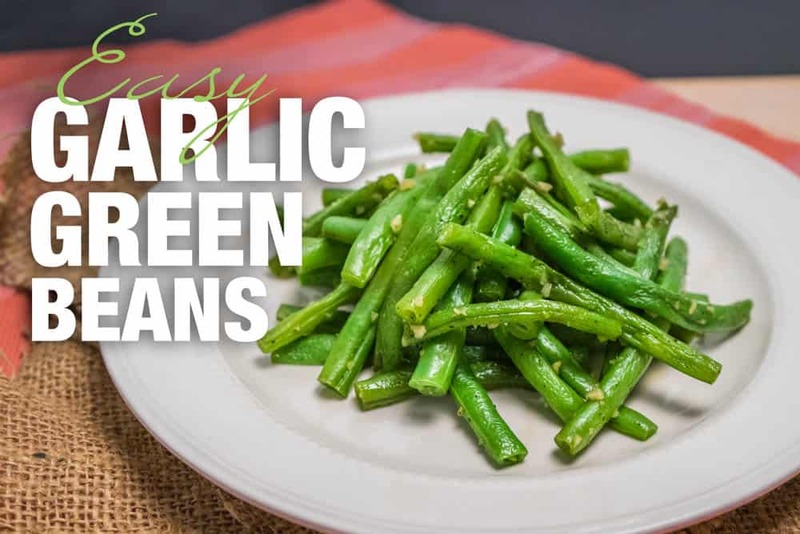 Pass the green beans please! Cranberry sauce is normally packed with sugar because cranberries are so tart by themselves. 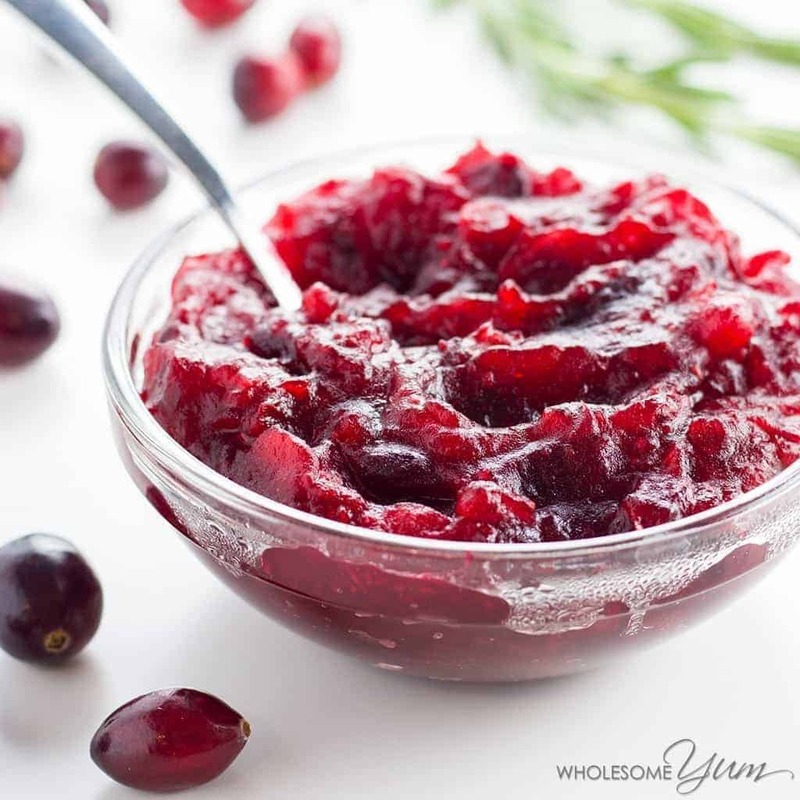 Maya really has perfected this cranberry sauce using a keto friendly sweetener and some secret ingredients that make this sauce a home run. Now I can’t wait for the day after to have leftover turkey and cranberry sandwiches! What about you? 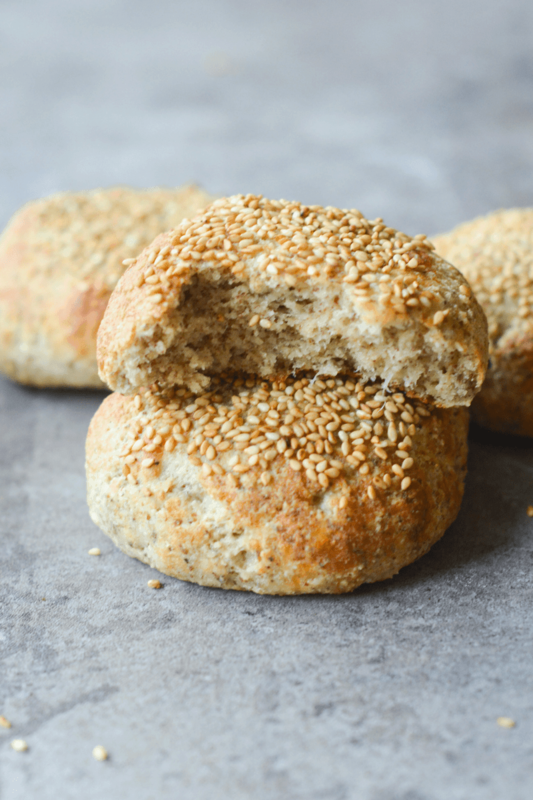 Just look at the comments on this recipe and you know these rolls are going be amazing! Remember how I mentioned leftover turkey sandwiches the next day? These rolls will be perfect for that! Another thing I love (and you will too) is the very simple ingredient list. 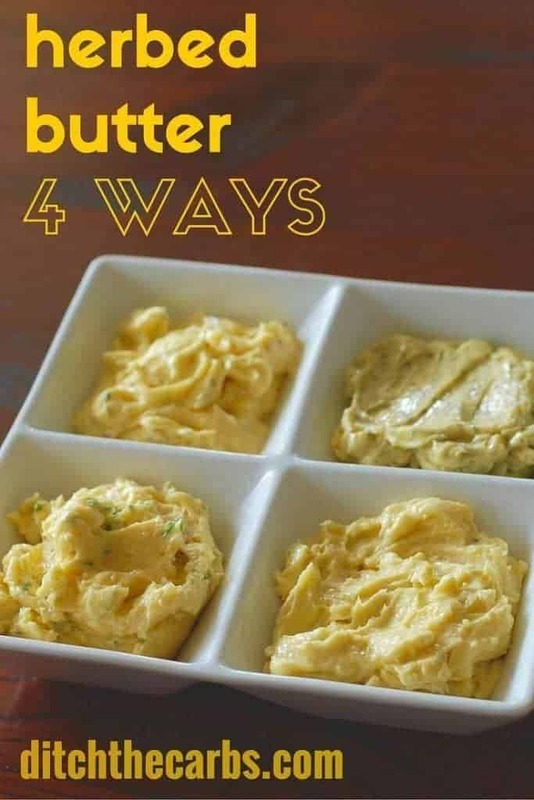 While you could use any butter on keto, why not live a little and try some herb butter for your dinner rolls? Variety is the spice of life after all and your guests will love having some options. Ditch the Carbs has many other great low carb recipes you should try as well! If you’re craving some good old fashioned comfort food, this sweet potato casserole really does the trick! 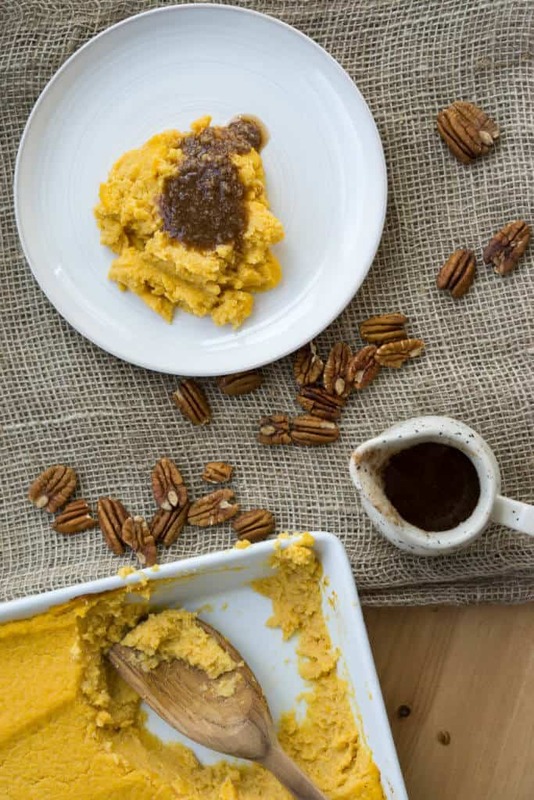 Top your “sweet potatoes” off with their cinnamon and pecan syrup recipe. This casserole embodies everything lovely about fall. 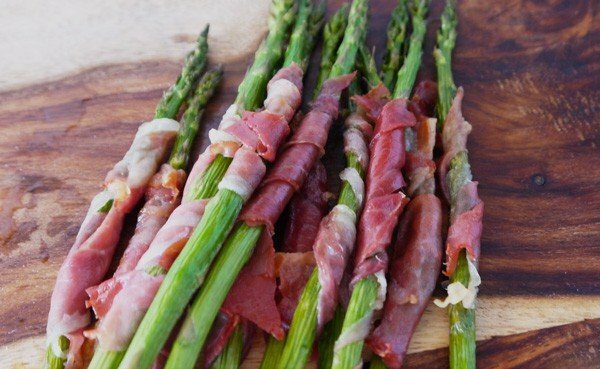 We’ve all seen tons of recipes for bacon wrapped asparagus on keto. That’s why I was so excited to see this prosciutto recipe! This recipe is so easy and quick, a must try for sure! This gravy embodies everything a gravy should be, creamy and thick (but not too much). The turkey giblets really add so much flavor, you may even like it better than the non keto flour filled version. Before starting keto I never had brussels sprouts in my life and boy was I missing out! 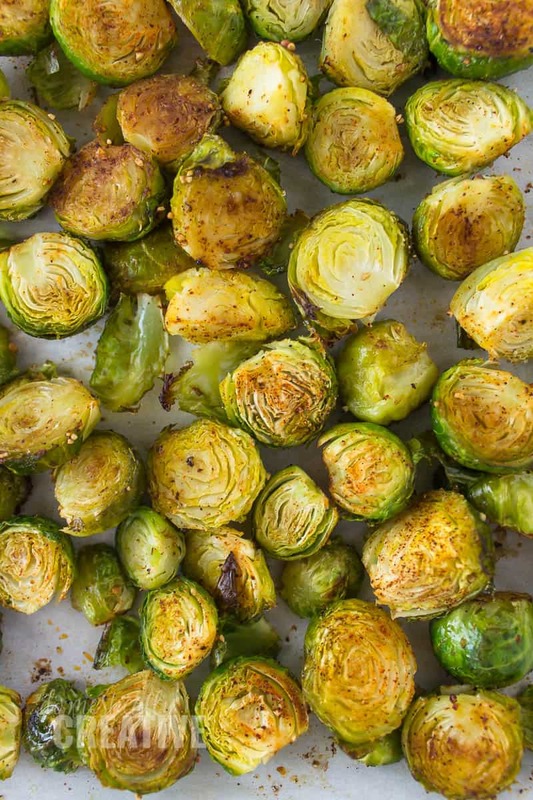 Roasting brussels sprouts in the oven really gives them a great crunch! Amanda has one of the most simple (but awesome) recipes for cooking your brussels sprouts to golden perfection! The creamy, cheesy goodness of this dish is unbelievable. Even the biggest of veggie haters, you know who you are, will be looking forward to eating this. Looking for some quick keto snacks from Amazon? Check out this post for later! 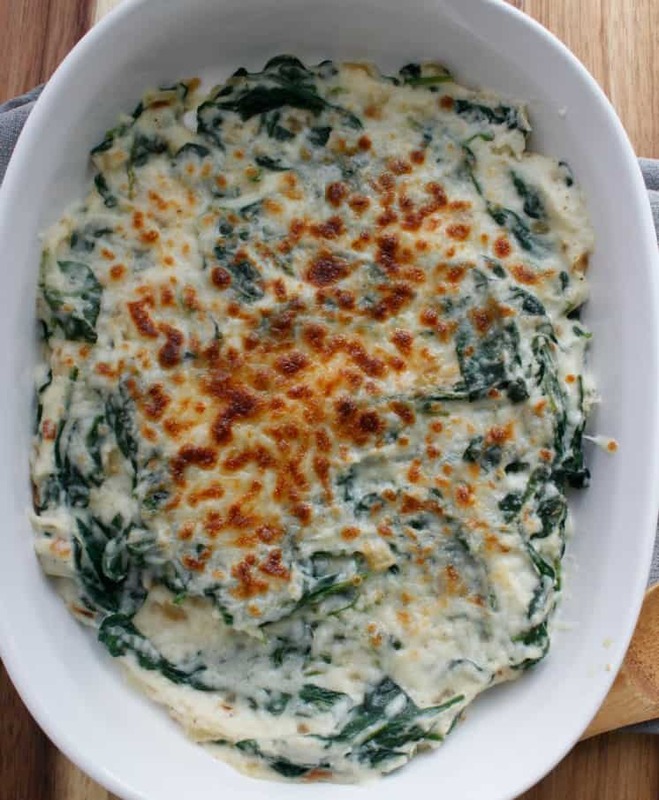 An excellent side dish to bring some much needed veggies to your Thanksgiving feast. Cauliflower has never tasted this good! It’s a good way to sneak some veggies to even the pickiest of eaters. 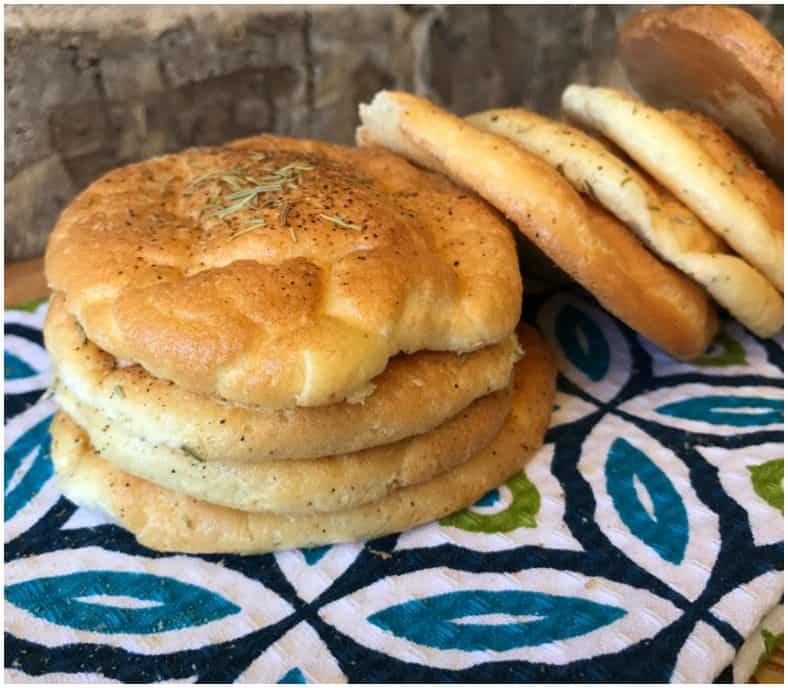 You can’t look at the picture of this cloud bread and tell me this doesn’t look fantastic. 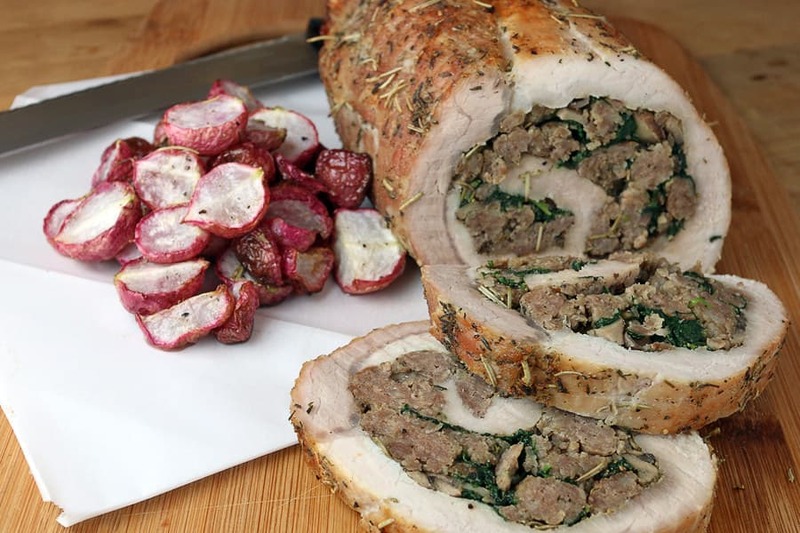 Super easy to whip up, this recipe can be made well beyond Thanksgiving! 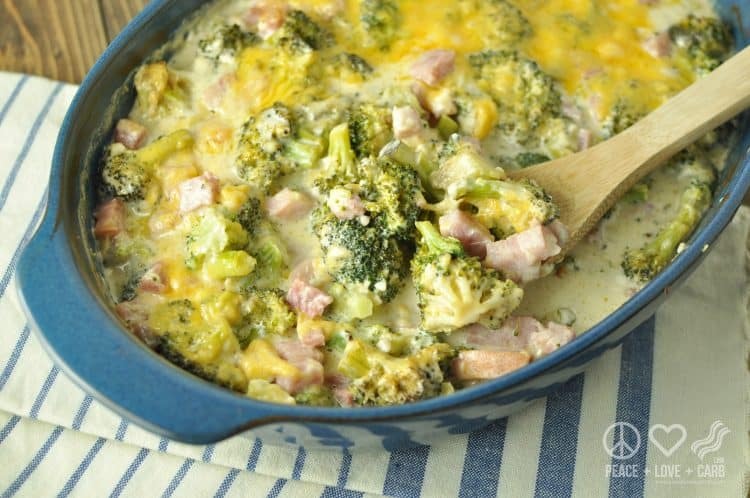 Ham, broccoli and cheese always go well together, so you know this dish will be amazing! Peace Love and Low Carb had a wonderful idea of not only making this dish for Thanksgiving, but making it with Christmas ham leftovers as well. What a creative option to use up all your extra ham! You can never go wrong with a salad on the side of any meal, and this one is the best. The lemon rosemary dressing and nutrient rich kale is very light and refreshing, which you will enjoy after eating all the other heavy dishes. In my opinion you can never have too much garlic, although the person sitting next to you may not agree lol. If you have twenty minutes to spare, then you can make this dish! This includes prep and cook time…impressive! 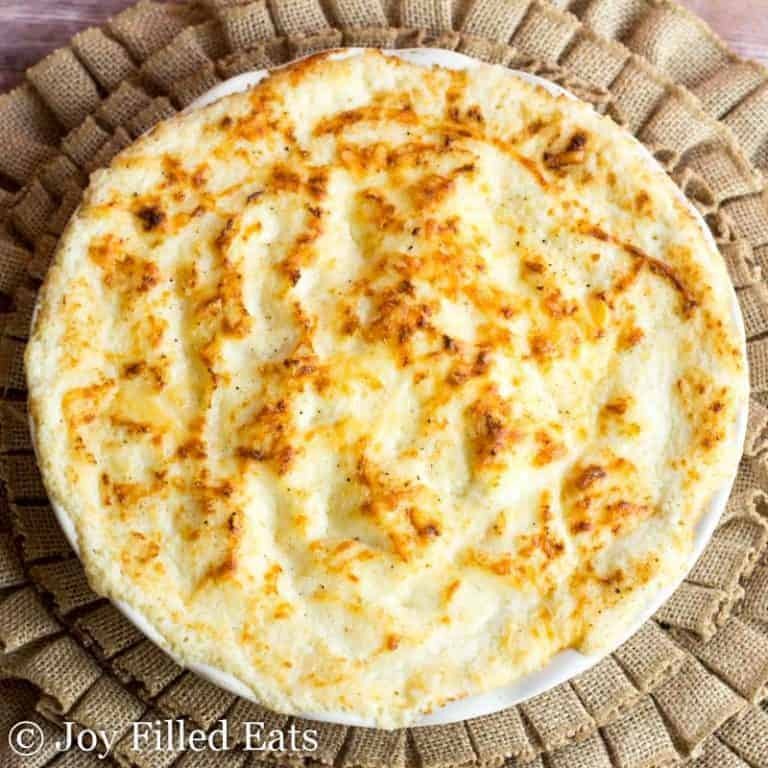 If you are a fan of adding cheese to everything, then this creamy “potato” recipe will rock your world! As an added bonus, you can prepare this the night before and just heat it up when it’s time to eat. Now here’s another way to replace those Thanksgiving potatoes. Radishes may not seem like the obvious choice but a little roasting helps to bring out their “potato” texture . For me it’s just not Thanksgiving without stuffing, don’t you agree? 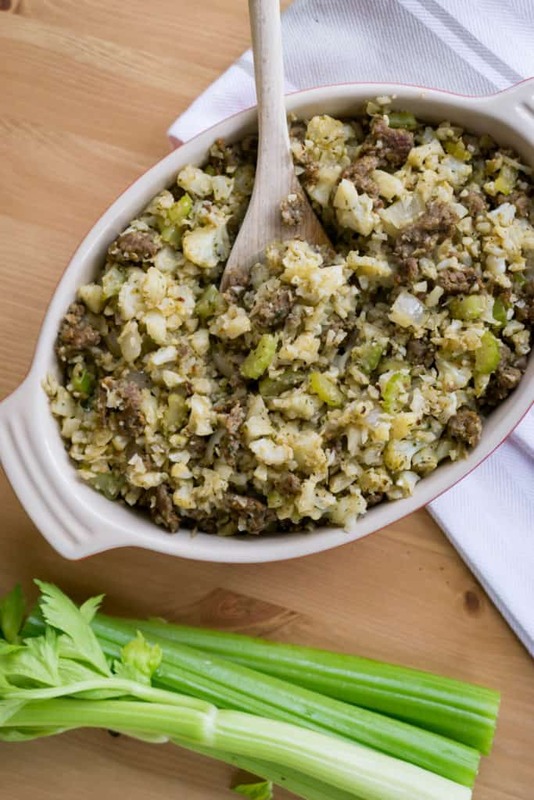 This low carb stuffing creation will definitely hit the spot! 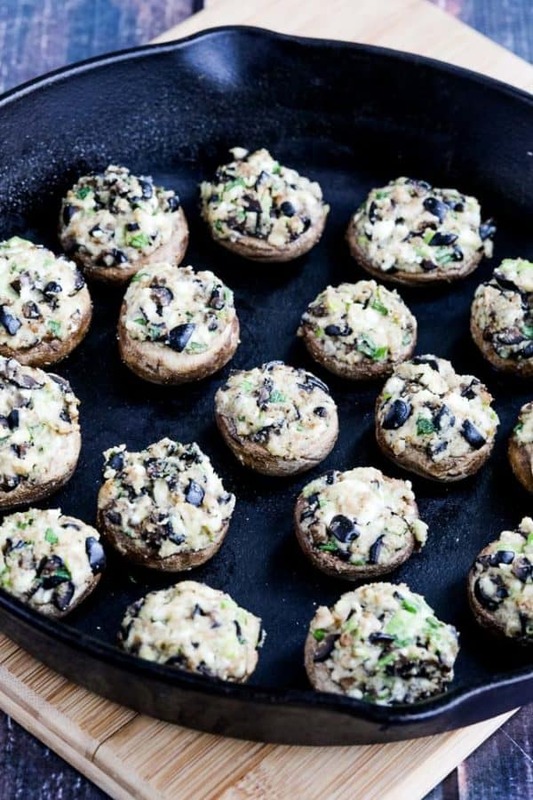 These delectable mushrooms are stuffed with olives, feta, and other wholesome ingredients. 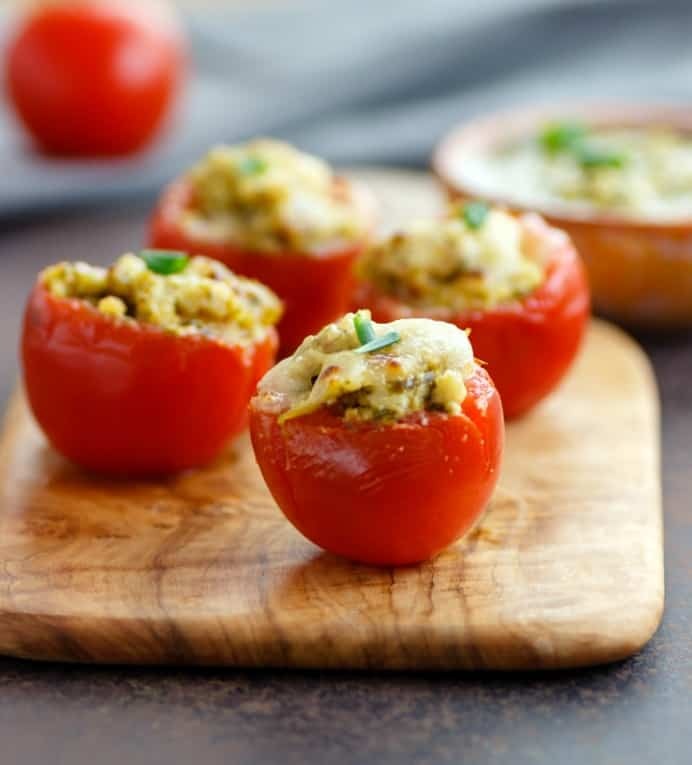 If you have any vegetarians at your table, this is also a great appetizer or side dish for them to enjoy as well! Kalyn’s Kitchen always has amazing recipes that are staple meals you’ll keep coming back to. Check out more of her keto recipes here if you haven’t already! 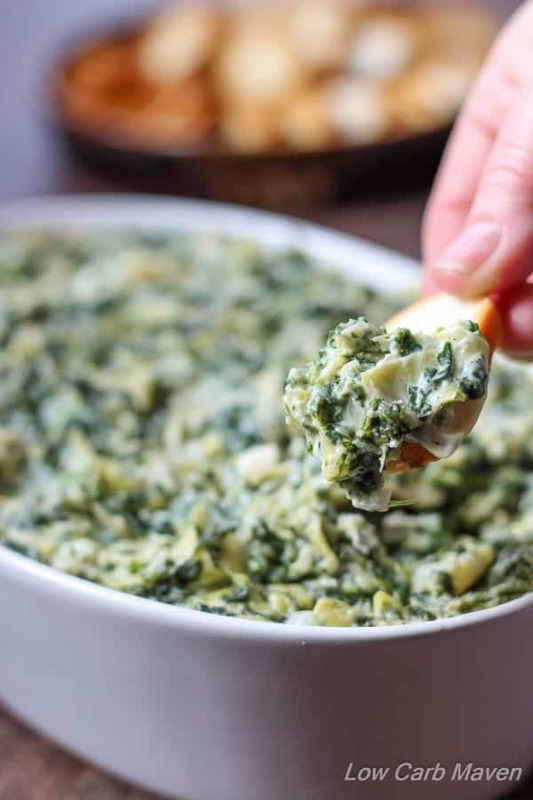 Artichoke dip just has a way of disappearing, it’s always a safe bet to have at a gathering. This is the perfect recipe for the perfect appetizer to get your Thanksgiving off to an amazing start. 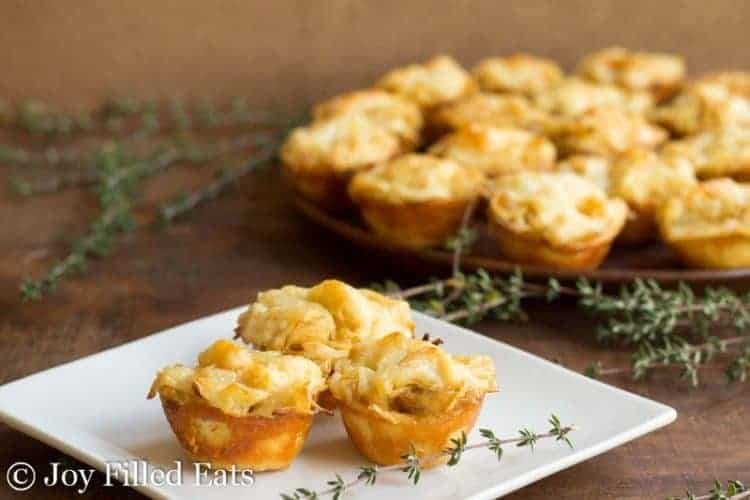 Think of these tartlets like a handheld french onion soup, they are very unique and amazing all at the same time. You can prep these in fifteen minutes and prepare other food while these are cooking. Most store bought ranch has very processed ingredients or contains milk, which isn’t keto friendly. Wholesome Yum really saved the day though with this beyond creamy ranch recipe. Now your veggie platter is complete! She gets bonus points with this recipe because all of the ingredients are easy to pronounce and recognize! With only four ingredients, these are the perfect appetizer to munch on while you wait for the main course. These will give you a little fat boost that’ll give you some energy to help prevent you from going into a Thanksgiving food coma! 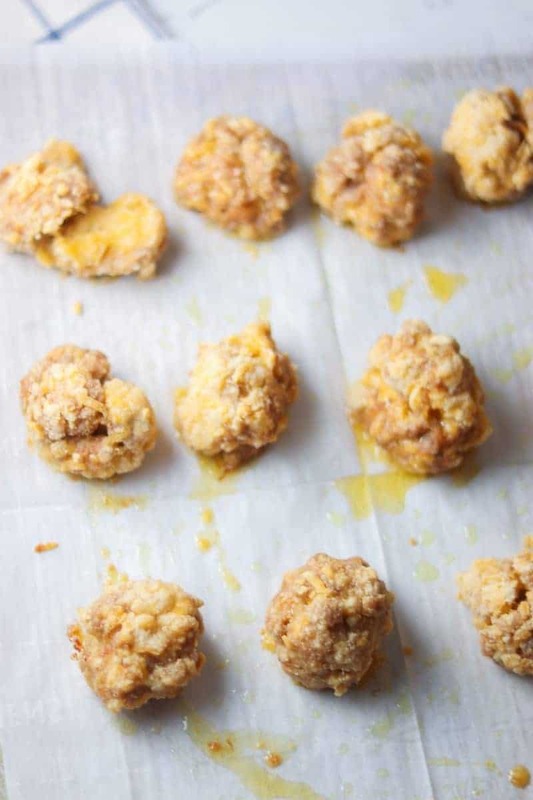 If you are in need of an appetizer pronto, you can whip up these little guys in a jiffy. 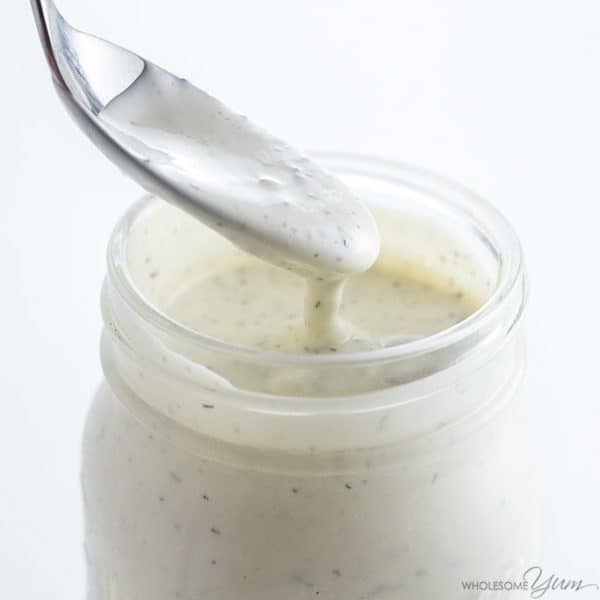 At the end of her post Kalyn gives you some additional ingredients and flavor variations so you can have fun experimenting with this recipe! These also make a fabulous snack as well! Don’t you love that you are on a diet that actually allows brie, otherwise known as the best cheese ever? 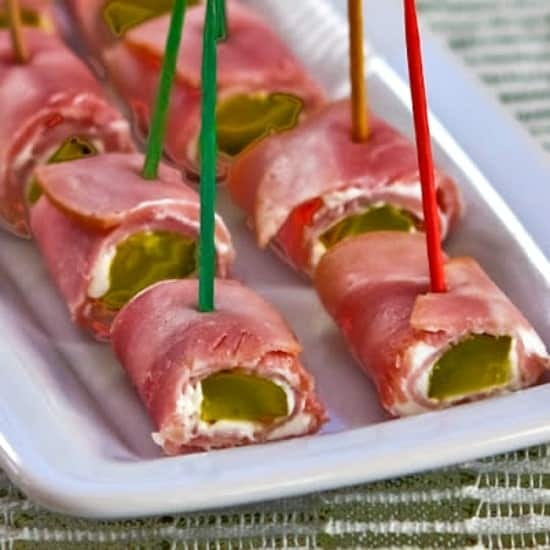 This appetizer looks impressive and that usually equals hard, but this recipe is actually very easy to make! Many low carb crackers really miss the mark, but these ones are a cut above the rest. 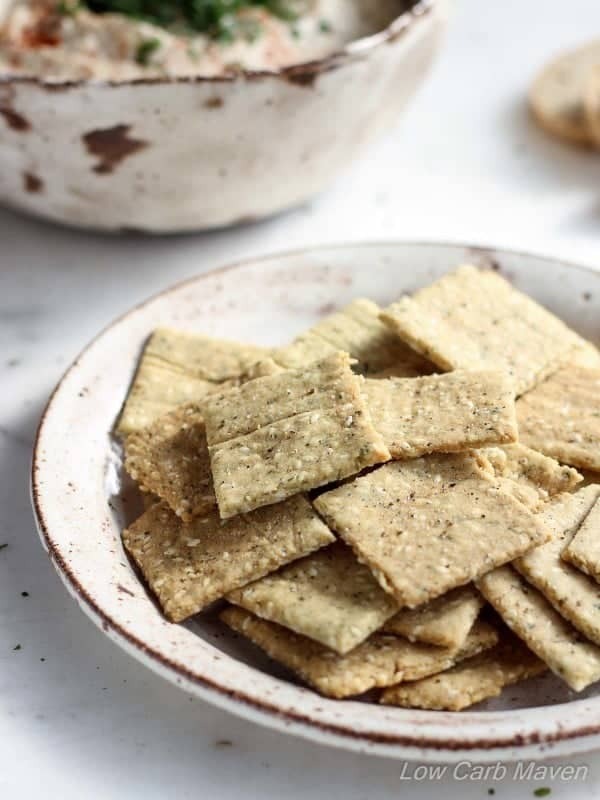 These crunchy crackers are perfect on their own and also great for dipping. If you’re anything like me you could probably drink pesto out of a glass…okay that would be a little much, but you get my point. Don’t be fooled by their small size, they pack a very flavorful punch. This is one of my favorite appetizers to make and hey, it’s one of my own recipes. You’ll love how well the bacon and cream cheese stuffing go together. These will be a big hit for you, they’ve always been a big hit for me! 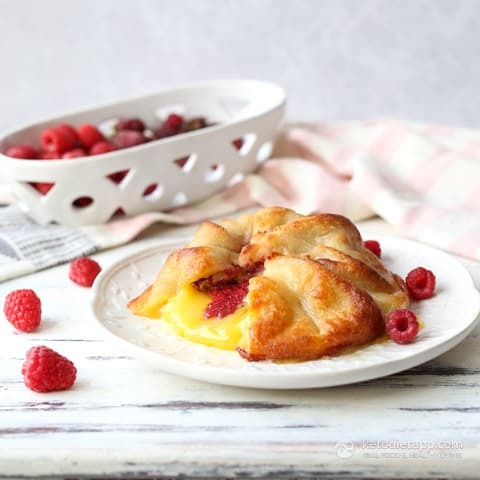 You’ll love these keto desserts below! This low carb brownie mix is AMAZING! Each brownie is only 1 net carb. Brownies are always a safe bet for a crowd! 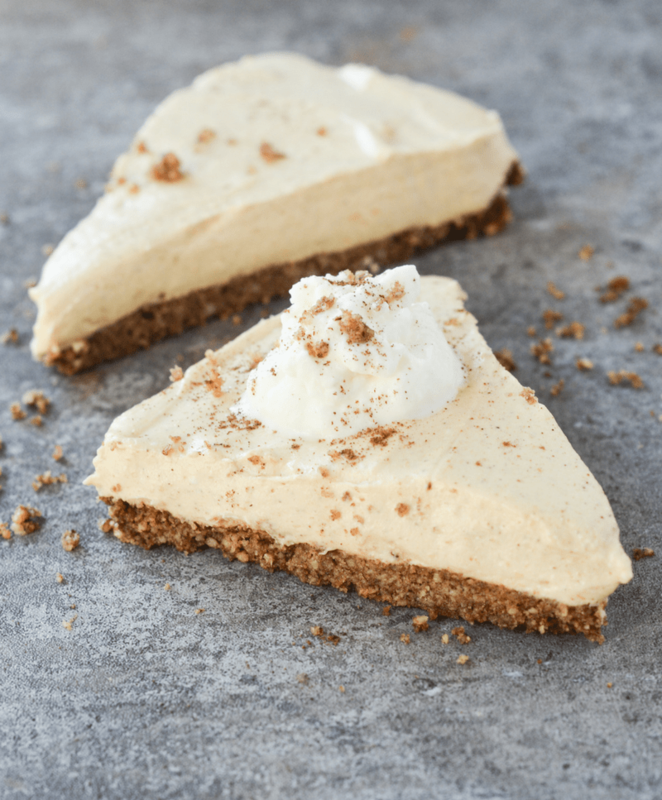 So here’s some pumpkin pie with a twist…no pun intended! Her recipe has a mild pumpkin flavor, but you can tweak it depending on how pumpkiny (I think I just made up a word haha.) you want them! 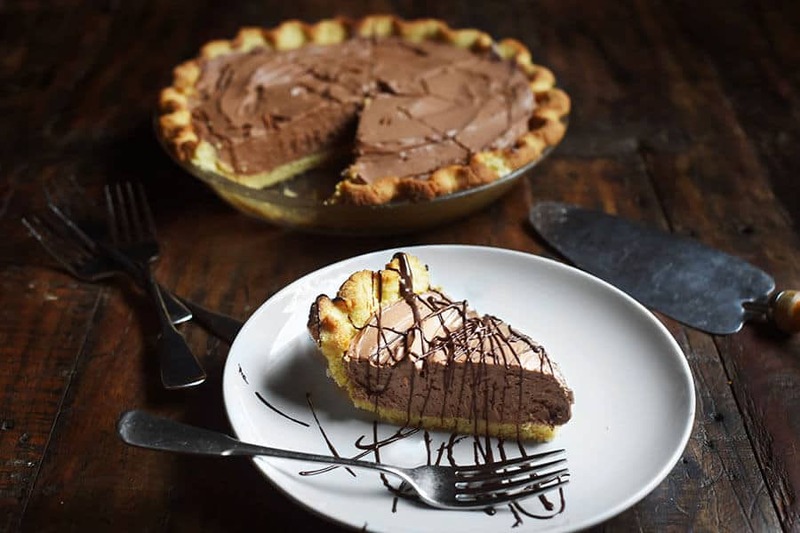 Silky chocolate goodness in pie form? Yes and yes! This rich and decadent dessert will please all you chocolate lovers out there. 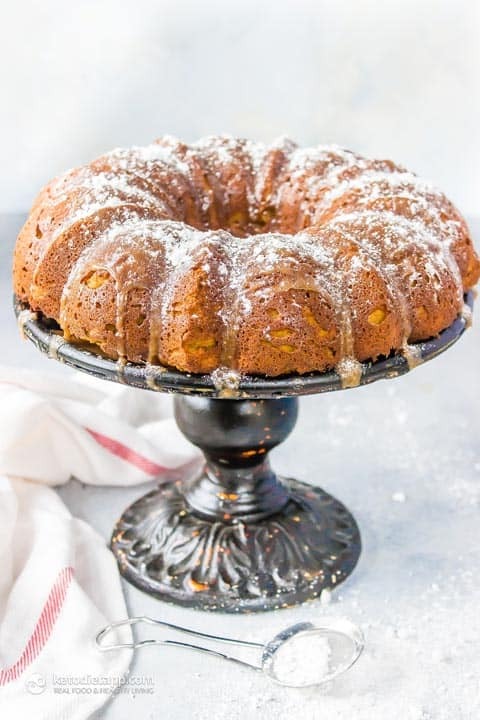 As if the pumpkin flavor isn’t tasty enough, this cake is topped with a sweet cinnamon glaze. It’s so moist and delish, no one will guess it is low carb! Also, nothing to do with the cake, but that cake stand is gorgeous…okay back to the desserts! 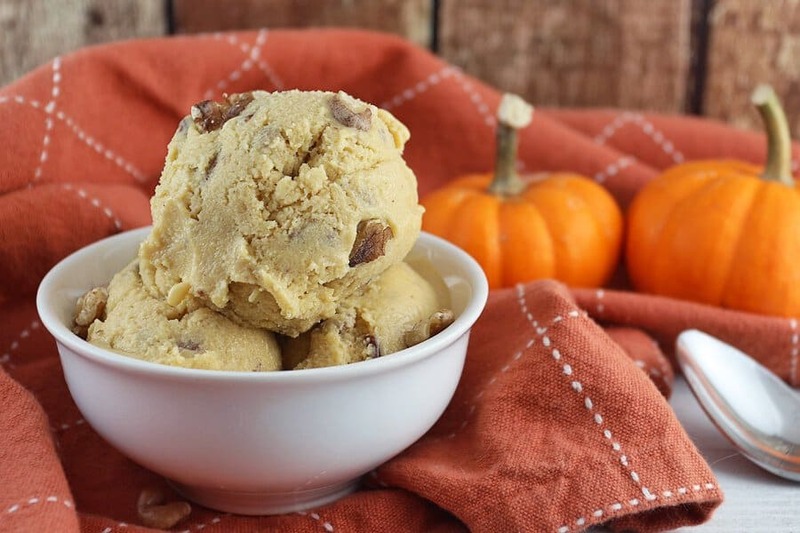 Craig is kind of my Thanksgiving hero for combining two of the most loved fall flavors, butter pecan and pumpkin. This ice cream is so creamy, it’s nice to know we don’t have to choose between the two flavors! 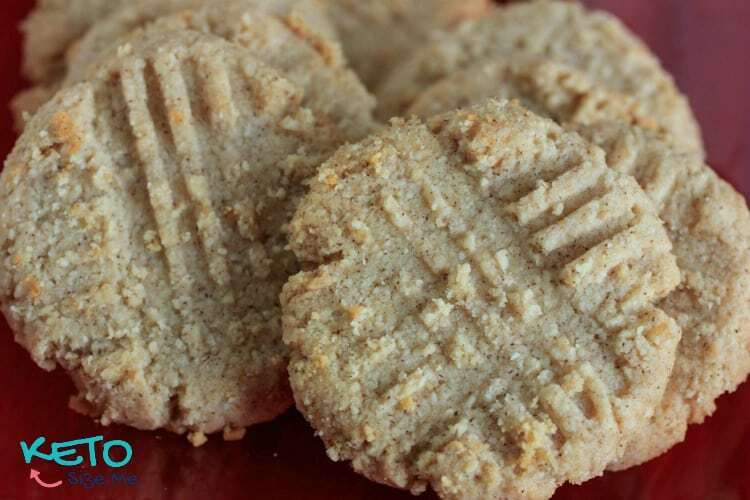 Take one bite of these cookies and your tastebuds will love the sweet and salty combination. If you’re not a salted caramel person and want a basic chocolate chip cookie instead, she gives you directions to change up the recipe. You guys I’m telling you this crust is amazing! You honestly will not even miss the real thing and I challenge you to just have one slice! Sam from Hey Keto Mama brought up a great point I want to share with you since I’ve included so many pumpkin keto desserts. You may not want to overdo it with the pumpkin because it’s not carb free. If you want to stay within your carb goal for the day, just watch your portions. Just something to think about and not to say you can’t enjoy these pumpkin desserts, just a little heads up. 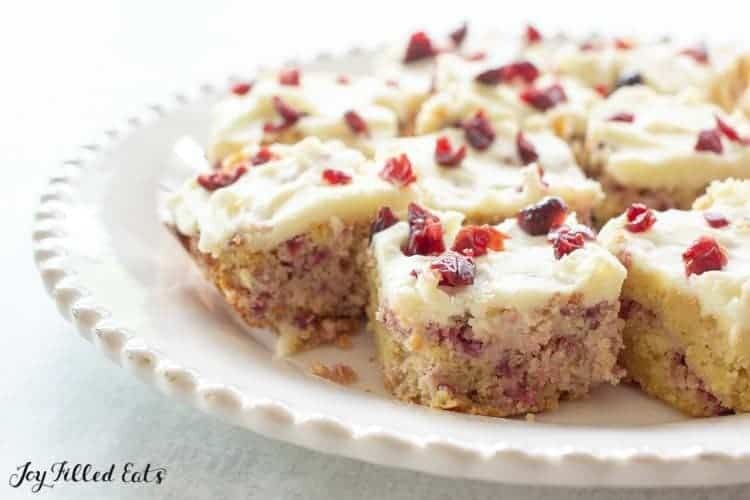 If you are sad on keto because you can’t have your favorite cranberry bliss bars from Starbucks, this keto version will make everything all better! This dessert is great to bring to a Christmas gathering as well! You may have had your fair share of bad keto dessert fails. I’m glad to report this is definitely not one of them! 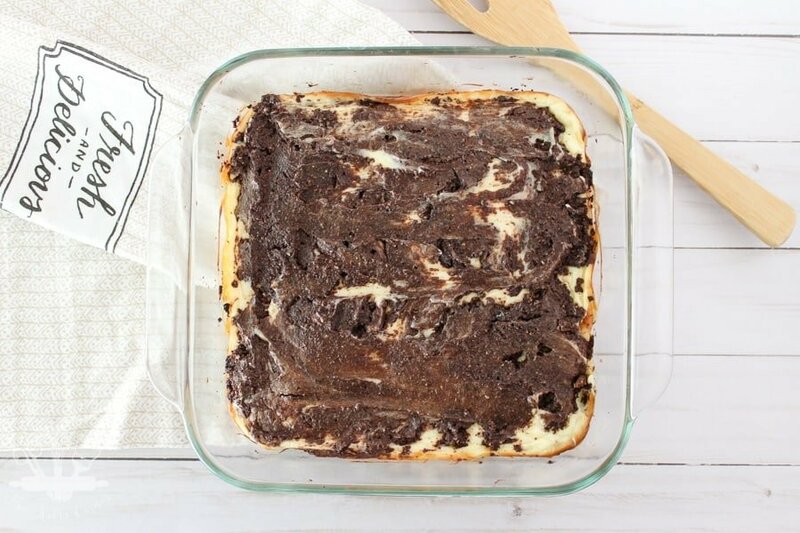 You may forget this dessert is even keto when you are indulging in this rich chocolate dish. 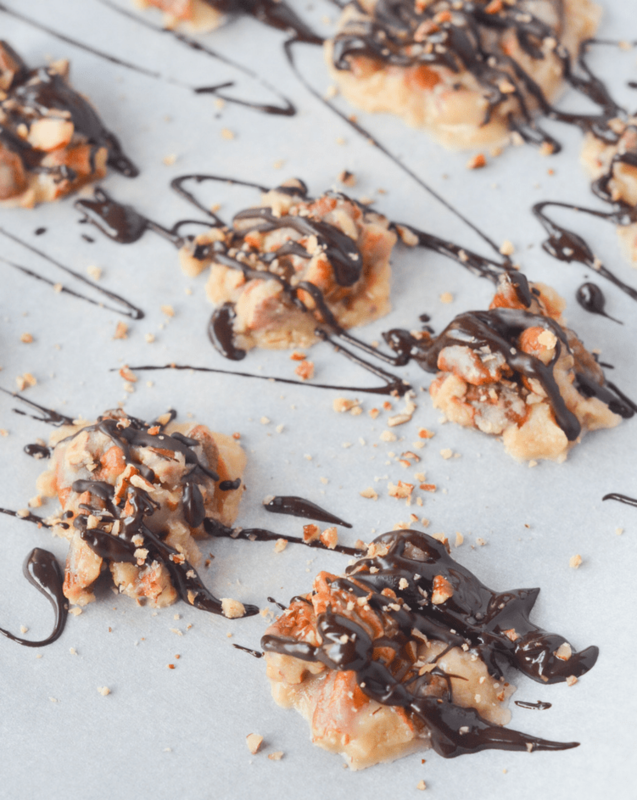 If you don’t have the time to make a pie, these clusters are very easy! It’s also nice to have a dessert option that is in bite form, because sometimes you’re just too stuffed after your big Thanksgiving feast to have a big dessert. You knew I had to throw in an apple dessert, because after all it is Thanksgiving! Making crust is always my crypnotyte when it comes to tarts or pies. I don’t know what it is, but I never roll the dough out evenly enough. Luckily, you press in the crust for this recipe, so even if you are crust challenged like me (lol), it’ll come out perfect! 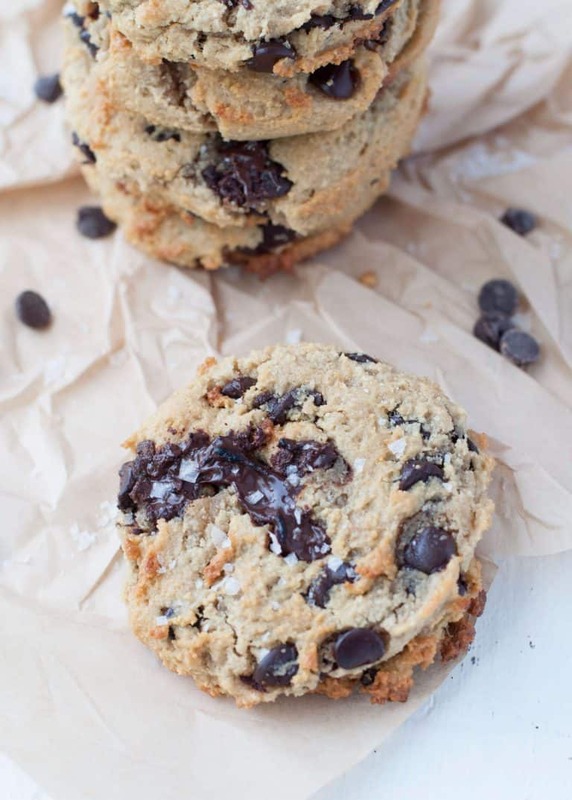 These cookies are oh so crumbly and buttery! I was truly shocked this cookie was keto because you are not sacrificing any taste or texture. Pumpkin spice and everything nice really embodies these cupcakes! And get this, they have a gooey cream cheese filling, you must try these for sure! 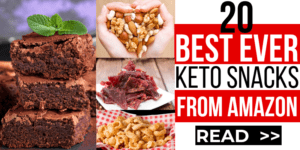 Here are a few more keto dessert posts for more ideas! You really can’t go wrong with brownies for any occasion. These rich and gooey brownies are absolutely mouthwatering! If you want to get all fancy pants and impress your guests, this French dessert classic will do the trick! The brittle crunch of the caramelized top combined with the pumpkin spice custard hidden beneath will make for the most memorable Thanksgiving dessert. Cherry cheesecake is normally very high in sugar. This one only has two grams of sugar per slice. The cherry topping couldn’t be easier! I love Thanksgiving; can’t wait! Thanks for including some of my recipes! Yeah, Thanksgiving is the best! You’re welcome and thanks for the tasty recipes!